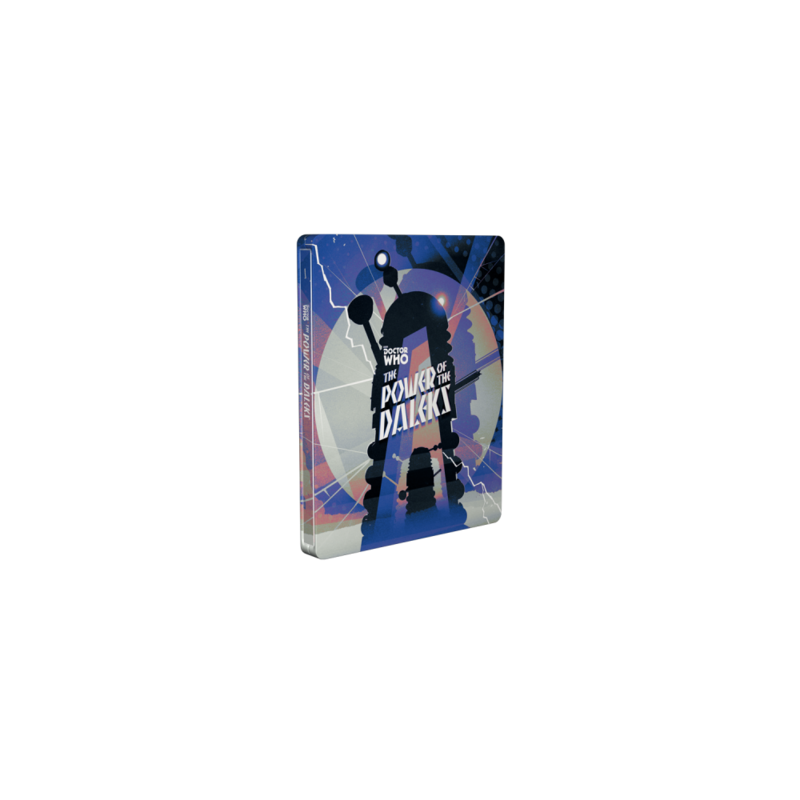 The Collectors Limited SteelBook® Edition DVD + BD! For the first time, see this thrilling original Doctor Who serial in not just the newly released B&W animation, but now also in full colour and full HD! 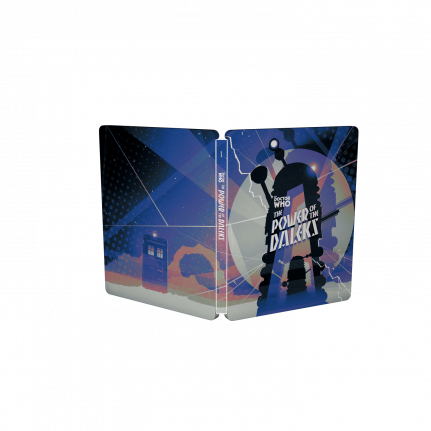 This SteelBook® edition includes the full 16-page booklet included in last year’s DVD release and comes in a SteelBook® case with original artwork by Stuart Manning, famed Doctor Who artist. The artwork takes inspiration from classic movie posters of the 1960s and adapts the iconic Dalek font for the title. TheSteelBook® edition is printed with a matte finish, with some of the steel showing through for a truly tangible effect.